A 15-year-old boy has been charged with the murder of a teacher who was stabbed at a school in Leeds. Ann Maguire, 61, died from multiple stab wounds after she was attacked at Corpus Christi Catholic College in Halton Moor on Monday. The teenager, who cannot be named for legal reasons, will appear at Leeds Youth Court on Thursday. The Crown Prosecution Service said he would then appear at Leeds Crown Court for a bail hearing on Friday. Peter Mann, head of the complex casework unit at CPS Yorkshire and Humberside, said: "A 15-year-old male was arrested in connection with this incident and has been interviewed under caution by police. "Having carefully considered all of the evidence presented to us by West Yorkshire Police, we have concluded that there is sufficient evidence to charge this youth with the murder of Ann Maguire and that it is in the public interest to do so." Mrs Maguire, who taught Spanish, was due to retire in September after a 40-year career. Hundreds of floral tributes have been laid outside the school by current and former pupils since Monday. The flowers were covered in plastic sheeting on Wednesday evening to protect them from the rain. The school's head teacher, Steve Mort, said: "We are overwhelmed by the amazing outpour of love and affection for Ann. "Over the past 48 hours, we have drawn an incredible amount of strength and comfort from all the amazing tributes and messages of sympathy and support that we have received from right across the country, and indeed the world." The Pope, Prime Minister David Cameron and opposition leader Ed Miliband have each paid tribute to Mrs Maguire. 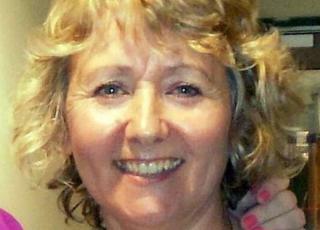 In the House of Commons earlier, Mr Cameron said Mrs Maguire's death was a "tragedy". "She cared so much about her pupils that she had come in on her day off to help prepare them for exams," he said. Mr Miliband said the teacher was "an inspiration to all those she taught". In the letter to the Diocese of Leeds, the Vatican's ambassador Archbishop Antonio Mennini asked for the message of "sincere sympathy" to be conveyed on behalf of himself and Pope Francis. "I assure you of my prayers for the repose of the soul of Mrs Maguire and for the consolation and strengthening of all those persons close to her and all those who mourn her sudden death," Archbishop Mennini said. Mrs Maguire's death is thought to be the first time a teacher has been stabbed to death in a British classroom, and the first killing of a teacher in a school since the 1996 Dunblane massacre. She joined Corpus Christi as a student teacher and this year moved to working four days a week ahead of her planned retirement in five months' time. Mrs Maguire lived in the Moortown area of Leeds with her husband, Donald, and is understood to have had two daughters.